What this mod does? Simply, it improves the aiming in San Andreas, I will include my Enhanced Sniper Scope in the mod and make the mod have possibility to have unique scope texture and unique zoom for each weapon. 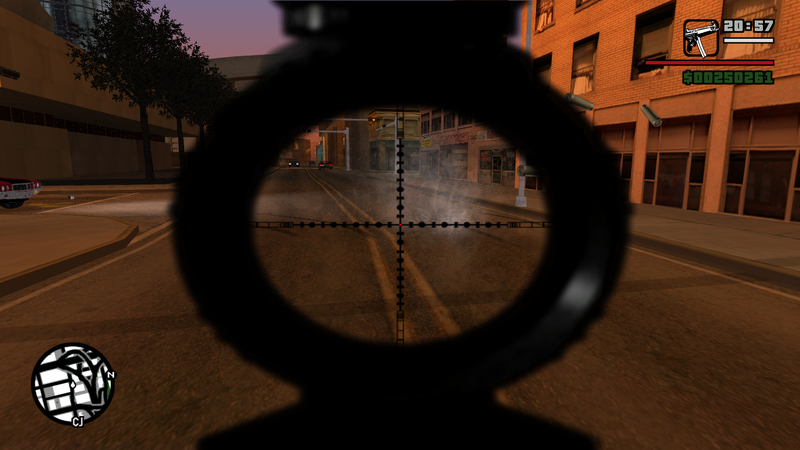 Here is quick preview picture of using the scope of MP5. Looking nice. Any idea when an update will be released? I might make a small preview-release after I fix one bug with aiming with the scope. could you tell me when it will be ready, please?